It looks like the good doctor is finally in. Benedict Cumberbatch is a very talented and busy actor. Whether mesmerizing on television screens as the title character on Sherlock, or chewing scenery as Khan in Star Trek Into Darkness, he always leaves his mark on characters and it looks like he’ll have another franchise to add to his list. According to multiple sources, he will take on the role of Dr. Stephen Strange for Marvel Studios. Cumberbatch was actually originally on the list of potentials, along with Tom Hardy, Jared Leto, Ryan Gosling and Ethan Hawke to name a few before Marvel reached out to Joaquin Phoenix to take on the main role. It was Phoenix’s names that was floating around San Diego back in July, and at several points it seemed like a done deal. However, negotiations did end up breaking down, so the last few weeks rumors have been flying around frantically about a suitable replacement. Cumberbatch was always game, but with his busy schedule – television, theater and other movie commitments, there was a bit of skepticism that this could get done. Apparently that won’t be an issue anymore. 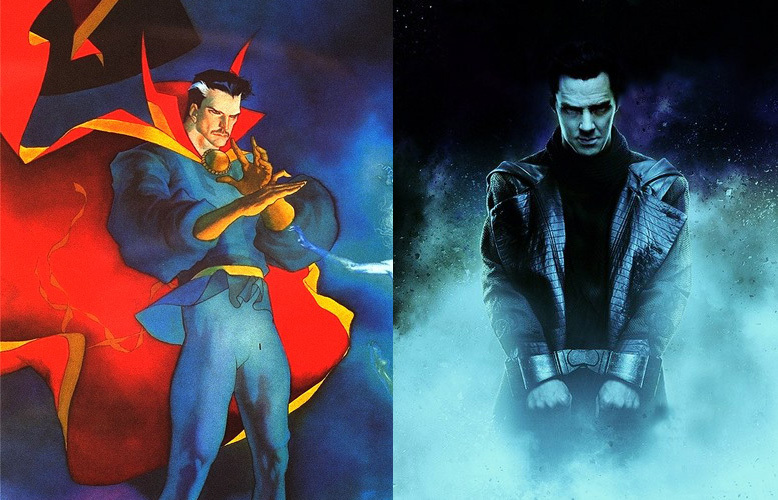 Scott Derrickson (Deliver Us From Evil) is directing the film and will bring the neurosurgeon to the screen as he takes the role Sorcerer Supreme on July 8th, 2016. This will tie into Marvel’s cinematic universe as part of their Phase III. It’s a bit of a surprise though that it leaked today as Marvel was planning on making some big announcements tomorrow. That event will now likely include the official confirmation of this news. This leak always comes just days after the Age of Ultron trailer making its way online, ahead of the planned premiere during Marvel’s Agents of SHIELD tomorrow evening. That show just can’t seem to catch a break. Anyhow, what do you think about the casting? Is Cumberbatch stretching himself too thin? Would you have rather had someone else? [Ed. Note – Jason Patric!] Or do you love this casting? Let us know in the comments!